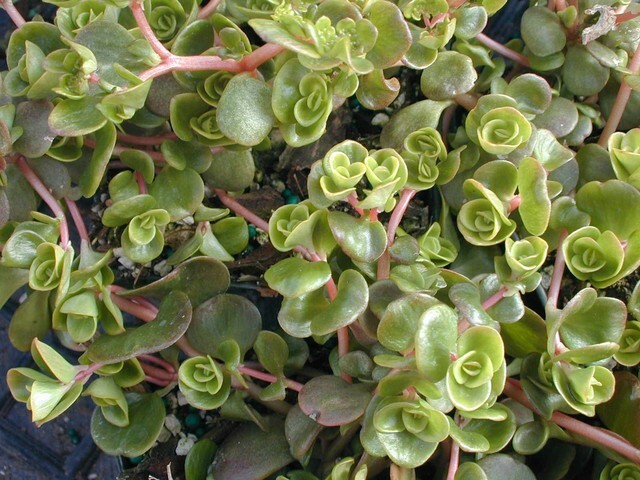 Commonly called Chinese Stonecrop. Evergreen variety with round green leaves on 12 inch long stems. Trailing habit makes this a good variety for baskets. Yellow flowers tipped with red in May-June. Leaves turn rusty-brown in the winter months. From Hunan, China.